On Friday, October 30th we arrived in Lee’s Summit, Missouri for the Cowtown Throwdown off-season event. Our team quickly unloaded all of our equipment and set up our pit. 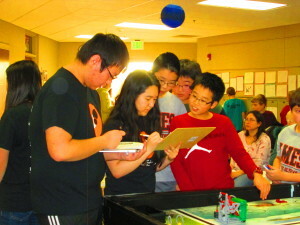 We assembled our robot for practice rounds. We also began to teach new members about the flow of the rounds and the tournament, and had them practice with scouting. Our team passed out schedules for new members in order to help organize and allow them to have a better feel for the rotation of activities on both Friday and Saturday. Soon afterwards, qualification rounds began. Our team introduced new drivers, and they were very excited to gain the experience in driving and performed well. We played in eight qualification rounds, and despite dealing with some mechanical issues, our team worked hard and quickly set about fixing the issues with our robot between rounds. All of our endurance paid off, as we concluded our rounds ranking at number 15. 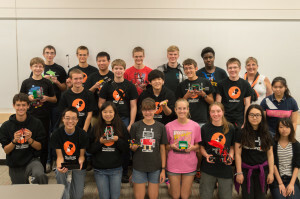 We were picked by the #2 alliance, which included fellow Iowan team 525 Swartdogs, 3284 4-H LASER, and 5006 Apophis. 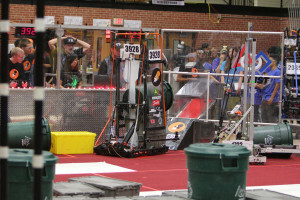 Our team’s robot played in the second match of the thrilling quarterfinals rounds. 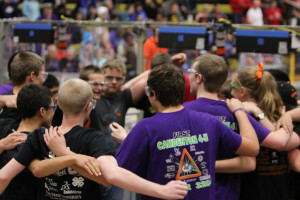 We all had a lot of fun watching the rounds, and enjoyed cheering on our fellow teammates and other alliance members. 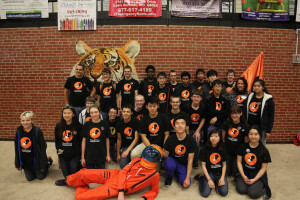 Our alliance performed outstandingly, and we carried on to the final rounds. After 3 exciting and closely-matched final rounds, our alliance won! We had a lot of fun competing at Cowtown Throwdown. 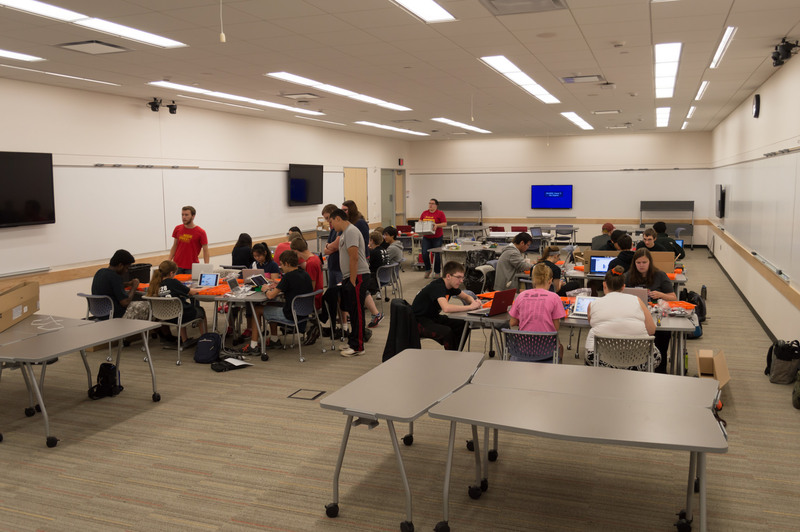 It was also a huge learning opportunity for new members, who got to rotate between events such as scouting, being a part of the drive team, and working in the pit crew. Returning members were eager to help and teach them about the roles in the team. All of our members had a blast, and we all gained a lot from the experience. Thanks 1730 Team Driven for hosting this wonderful event and CIT for providing our transportation! You can watch one of our qualifying rounds below. Thanks 525 Swartdogs for the match footage! Team Neutrino is competing at the Cow Town Throwdown offseason competition today. Qualification rounds will run from 6:00 pm to 9:30 pm on Friday. Qualification matches on Saturday will run from 8:30 am to noon. Alliance selection is at 12:15 and playoffs begin at 1:00. On Saturday, September 19th, Neutrinos and mentors gathered to assemble FIRST Lego League mission model kits that will be used in Iowa Regionals and the State Championship. In total, we made about fifteen kits. 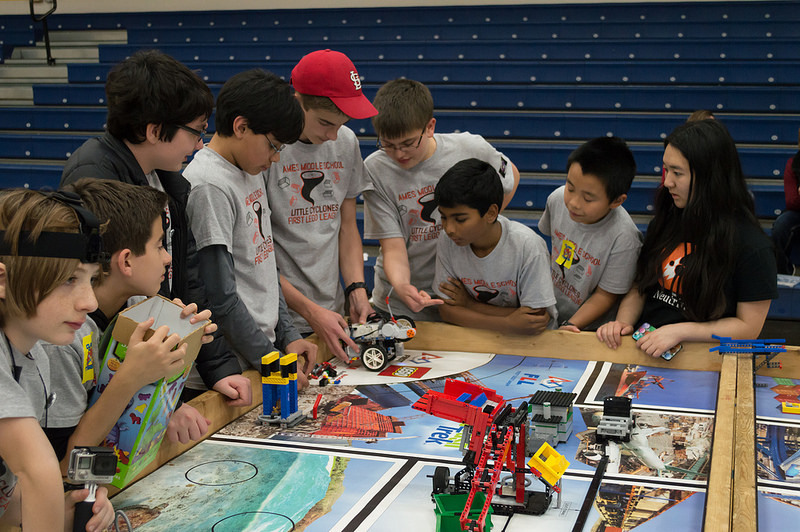 This was a great opportunity to help grow and maintain our state’s great FLL program.